Official Global ROM Oxygen OS with Google Service Gapps ( Play Store, Gmail, Maps etc.. ) Support OTA Update. 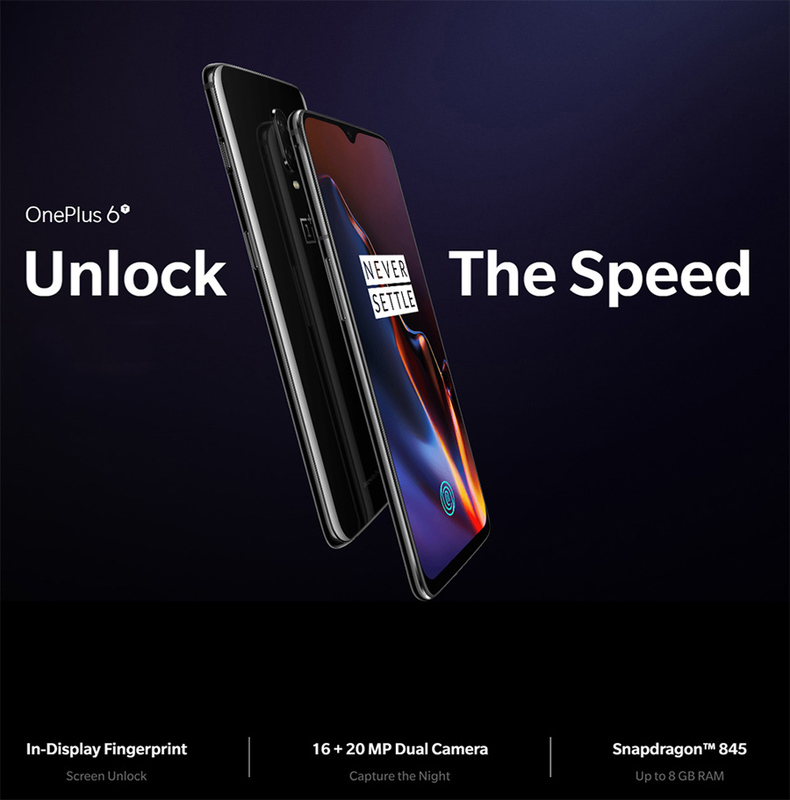 Screen Unlock Unlock your OnePlus 6T with the fastest in-display fingerprint sensor on any smartphone. 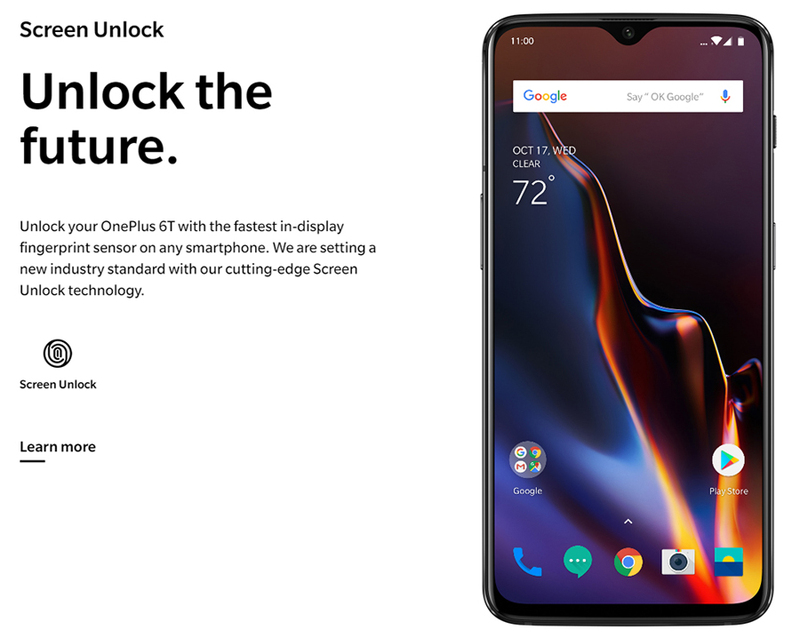 setting a new industry standard with cutting-edge Screen Unlock technology. 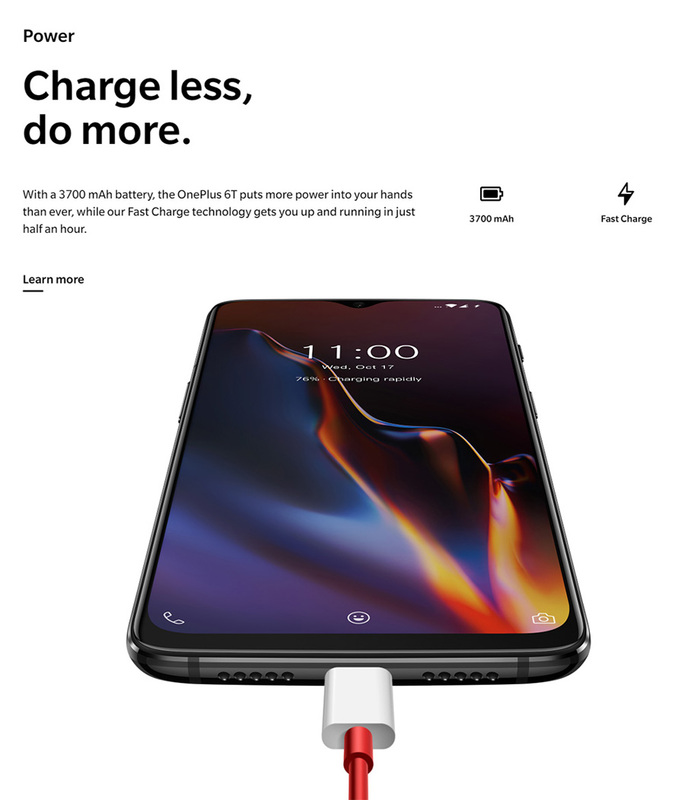 OnePlus 6T Smartphones SOC Qualcomm® Snapdragon 845 (Octa-core, 10nm, up to 2.8 GHz), within AIE, GPU Adreno 630, The industry-leading processor Snapdragon™ 845 powers through demanding apps and games – and it's incredibly power efficient, would be overwhelmed, together with 8GB RAM LPDDR4X and Storage 256GB UFS 2.1 2-LANE, More RAM ; day to day tasks are snappier than ever, and battery life is better. 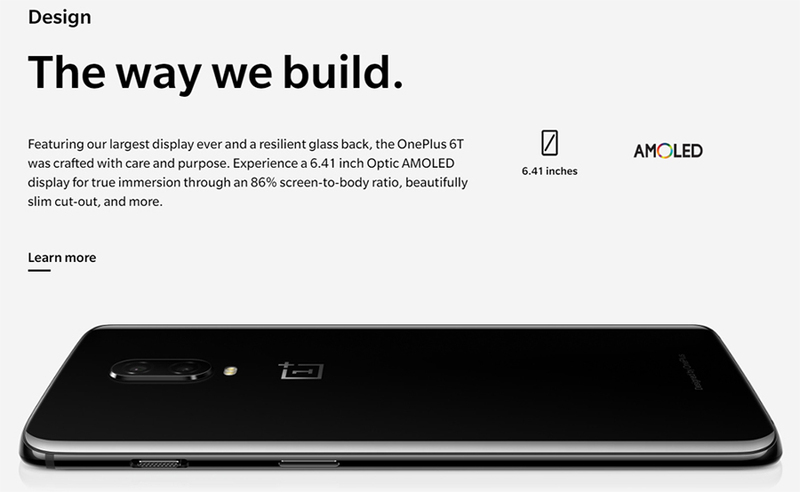 Largest display ever and a resilient glass back, the OnePlus 6T was crafted with care and purpose. 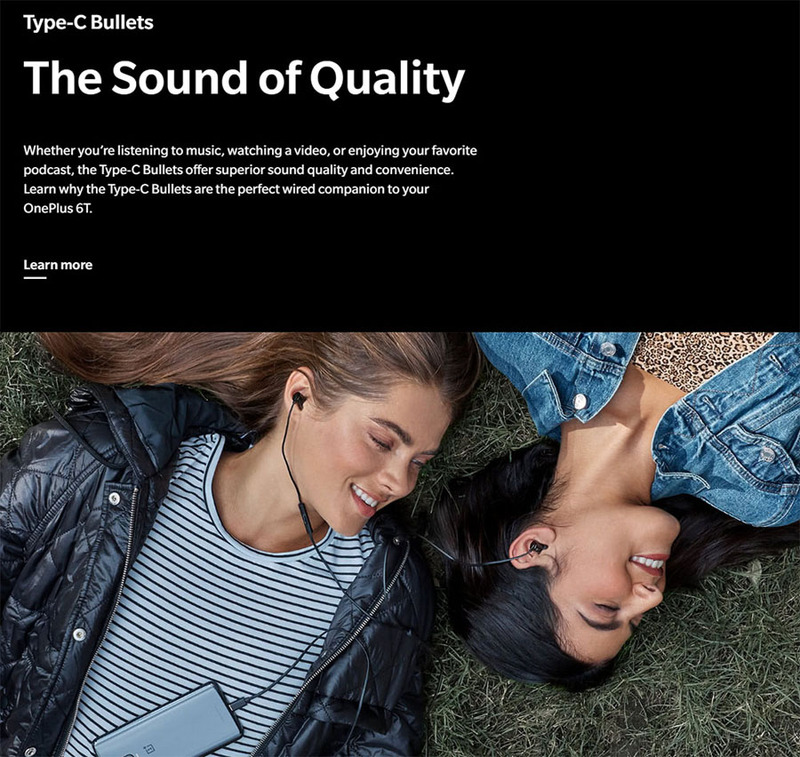 Experience a 6.41 inch Optic AMOLED display for true immersion through an 86% screen-to-body ratio, beautifully slim cut-out, and more. 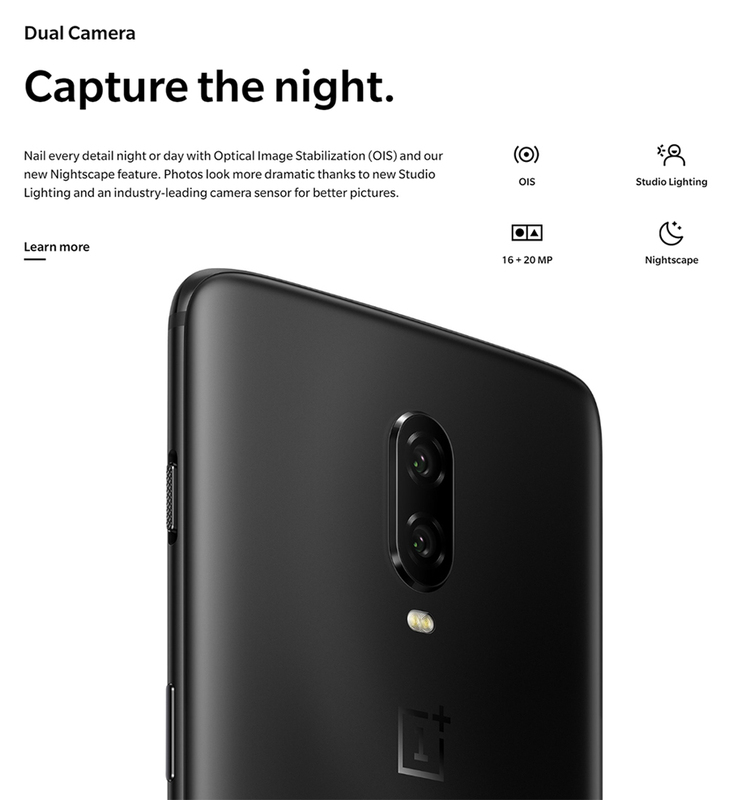 Capture the night. Nail every detail night or day with Optical Image Stabilization (OIS) and new Nightscape feature. Photos look more dramatic thanks to new Studio Lighting and an industry-leading camera sensor for better pictures. 6.41-inchs 2280 x 1080 resolution display with an 19.5:9 aspect ratio.